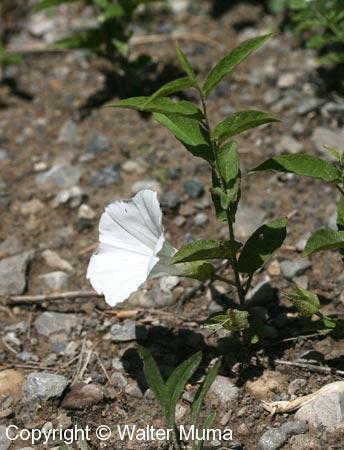 Distinctive features: Large white flowers low to the ground. 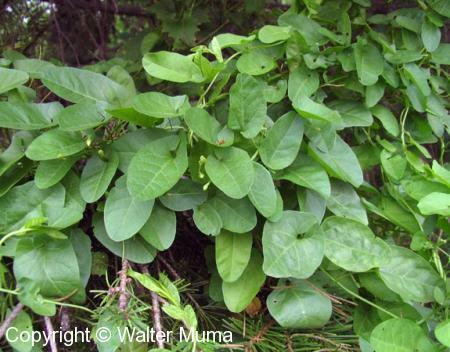  Eurasian Black Bindweed (Fallopia convolvulus) - Small greenish flowers. 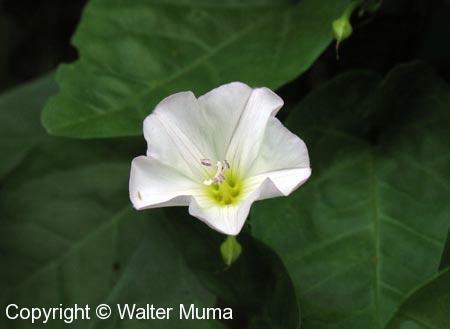  Hedge Bindweed (Calystegia sepium) - Large white/pink flowers. 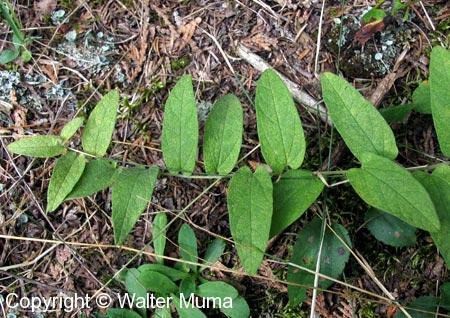 Leaves have square bases. 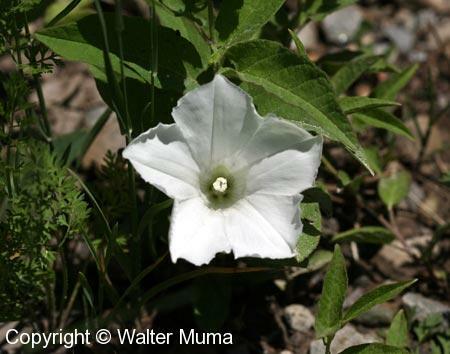  Field Bindweed (Convolvulus arvensis) - Leaves have two pointy ends near the base. Smaller flowers. 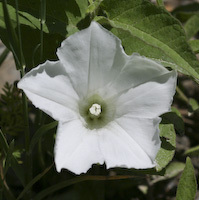 Flowers: Spring, Summer; White; 5 parts (petals); Large. 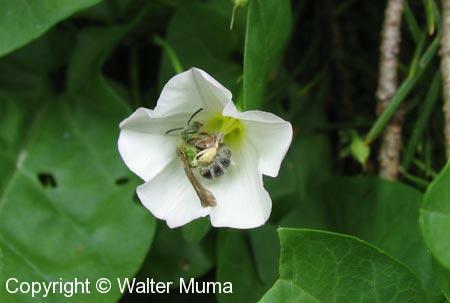 Habitat: Fields and Open Areas; Open areas, dry soil. Photographs: 41 photographs available, of which 7 are featured on this page. SCROLL DOWN FOR PHOTOGRAPHS. A view of the whole plant. When the plant is short like this, the flowers are at the base of the plant. A view deeper inside a flower. A flowerless stem, showing arrangement of the leaves. A mass of Upright Bindweed on a spruce tree.